Russian Military Deployed Additional Tor-M2 Surface-To-Air Missile Systems At Its Airbase In Syria: Media 5.0526315789474 out of 5 based on 19 ratings. 19 user reviews. The Russian military has deployed an additional battery of Tor-M2 surface-to-air missile systems at its Khmeimim Air Base in Syria, Kommersant newspaper reported on August 28 citing a source in the ministry of defense. The move, as well as deployment of Admiral Grigorovich and Admiral Essen frigates armed with Kalibr cruise missiles near Syria, comes amid the growing threat of a new US-led missile strike on government facilities in the war-torn country. Sounds like the Americans are going to use the same method they used against Germany in WWII, just send so many bombers(missiles) that the enemy runs out of ammo shooting down American bombers(missiles). During the bombing campaign the average air crew had a life expectancy of 13 missions. A lot of Americans died but Boeing made a lot of money. Russia will not sink American ships, unless the US targets Russian forces. Politically it is better to make America look incompetent, than to start WWIII. The US wants a war, to cover up their economic collapse. Don’t give them a way out, let their economy collapse, and the American people will hang them from lamp posts. The American people will do absolutely nothing. The only ability they have is spraying napalm over rice workers and mountain farmers. They will do nothing, until the food runs out. Yes I know America is a huge food producer, but it is also a capitalist. When the dollar collapses, the food producers will sell to foreigners, because in American terms they will pay more than Americans can afford. America has crippled many countries economies, Venezuela is just one example, well that’s going to boomerang. In fact it is happening now, look at how the crime and suicide rates are rising. I had a few more obvious thought about this. The FUKUS nations and partners in crime have been instrumental for so many criminal ,immoral and amoral misdeeds in Syria , Libya, Yemen and Iraq that only their Victory in these nations can conceal. FUKUS and Friends have broken the UN laws that they themselves voted for. If ( or when as I hope) FUKUS and Friends are defeated it will ensure a seismic change in world politics , to the detriment of FUKUS and Friends ( who include some of the worst pro US dictators in Africa, South America and Asia ). This is why FUKUS has to fight and why the final battles are fast approaching. Seems they may have also missed many large nations figuring it out and forming organizations to defend themselves, like the Collective Security Treaty Organization, CSTO. The handwriting is on the wall, they could go easy, they could go hard, but they will go! Are you anticipating that the last battle will be Syria? Or had you Yemen or Ukraine in mind? Also, do you anticipate that the last battle will not involve China? Syria will be the turning point I hope as support for FUKUS worldwide ebbs away. There will still be battles, spoken and actual to fight I am sure. Wahabi terrorism will last until the money and arms supply fades away. The conditions are ripe for the internal overthrow of the House of Saud if the Yemen war is won or even prolonged by the Houthis. A similar experience as Afghanistan for the US and USSR. Russia , Iran and indeed China have to confront the US now , due to the Syrian situation If they do not, the US will erase her debt with the plundered assets of those nations. In my humble opinion we are at a pivotal moment. A Borodino or Stalingrad moment or even destruction moment of three Roman Legions in The Battle of the Teutoburg Forest. The US may well be able to inflate her debt away via hyper inflation and impoverish all Americans as a result. To those who say this cannot happen, I would say Why Not? What makes the USA an exception to the thousands of years old rule of economics ? Ukraine is just a distraction and the ONLY nation that truly cares about the people of Ukraine is Russia. imagine the irony: all the lives lost, the countries destroyed and the money spent in damage and warfighting to overthrow the Iranian government (without talking abt Syria) and in the end it’s the Saudi monarchy that gets overthrown by an anti Israeli faction, or at least by one that knows who’s friends and who’s not. With regard to US Treasury bonds. It seems that as foreign governments move out of treasuries, the slack is being picked up by Government departments. That’s right they are lending to themselves? They are indeed and the giant US Ponzi scheme is getting ready to burst. This would explain why the US Deep State is in such a frenzy. It seems the US offered to withdraw troops from Syria, if they could keep the oil. Yes, the US establishment have the morals of a drug dealer. President Putin said a while ago, this year, to the US, I will arm your enemies. Do you reckon this is started yet. President Putin will be careful not to arm terror gangs today that could easily be the enemies of Russia tomorrow. In view of that I think he will provide an alternative relationship to nation states who are fed up with being treated as serfs by the US. Thank you for your participation in the debate Ray. learn to think before posting. US/NATO puppets will not attack Russ assets in Syria. It’s an agreed upon game of slow turns and geostrategic outcome. Russia conceded to Israhell ….Israhell gets to keep Stolen Syrian Golan. So ya….a staged drama to justify Cruise missile strike. The Metro Sexual Gremlin Macron dancing about attacking Syria is France get to try again to get their NATO cruise missiles on target. As Putin is dead stick about getting Syria capable Gen Fighters and Bombers. Syria should have Jets up to dash into regional airspace and shoot down the B 1B. Have Jamming systems/air defence which takes Cruise missiles out long before they reach Syrian bases. At least Soviet Russia enabled Vietnam to shoot down over 5000 US Aircraft. Today’s Russia gets robbed by Swiss Banks, …slapped around,…murdered by rats like Erdogan. Syria will park its jets at the Russian air bases like last time and leave some old out of use jet air frames to be bombed like last April 2018, while most of the missiles are shot down again like last April. Trump wil get his boost at the polls for November elections, Russian defence contractors get more good practice and data for shooting down USSA missiles and its great advertizing for Russian air defences to potential customers. Perhaps on british tabloids read by jews, but the real world works very differently. this works only in small scale situations – in fact they destroyed ONE system which was alone and turned off (we don’t really know if it was without ammo, we only know it was turned off). In a theatre situation, the aircraft that engaged the turned off pantsyr would be engaged itself by longer range systems like buks or s400 deployed more far away. correct but drones have greater range than the aircrafts in general and are difficult to be located by aa defence. Anyway if you search a bit you will find than many companies in US are developing drones for this kind of warfare. 1000s of them will enter the airspace confusing the air defence ,hoping they will launch everything they have against them….then modern aircrafts will have a walk in the park. “confusing the air defence” is not like confusing obnubilated minds. In fact, drone swarms are a tactical entity that has been studied for some years already, and there is no doubt that air defences evolve to include this type of threat, although as of now it’s pretty much theorical. In addition, don’t think that radars and other means of observation will take drone swarms for aircraft or viceversa. They won’t – if Israeli propaganda think they can convince their public with such arguments they may have their reasons, but on the battlefield it’s all another story. we will just have to wait and see….. Yes its called a multi layer are defence and Syria won’t run out of ammo shooting down drones because unlike Israel, for the most part they don’t care about them and will use regular anti air craft batteries with 50 calibre rounds etc., guided by radar from the air defence system to shoot down drones. true true indeed……but i meant inexpensive compared to aircrafts ,guided missiles etc. anyway…….but your remark was totally correct. Thats the only reason you guys have a life. To make money to Boeing…………………….LOL. Now get the f..k up in the morning and go to work. How high do you want me to jump Bosss? They also use the same justification for bombing the indigenous people. ‘gas-attack’. Same lie and same response to the lie. Now the Syrians are going to suffer the same way that the indigenous Suevians suffered by the hands of the US/UK-Empires. no, it soubs so, that americans send hundreds of missiles. Last time the US attacked Syria, the only weapon that worked as described was the smart bomb. Enter the Tor M1, smart bomb killer. afaik, all sources stated that the 12 april attack was made only with cruise missiles, with the launching platforms staying well outside Syrian airspace. The Tor system it’s probably able to engage a falling bomb by using the optical/IR secondary acquisition method, but doctrinally, this task would be performed by Pantsir batteries. For example, if a jet unexpectedly drops a smart bomb, you engage the bomb with Pantsirs and the jet with Tors, not considering that somewhere else, Buks, S300s and S400s and naval units are already launching missiles towards the offending package. I believe you are right about the smart bombs, I confused Jassm’s with smart bombs. yes yes, i ‘m roughly aware of the published overall capabilities of the Tor system. 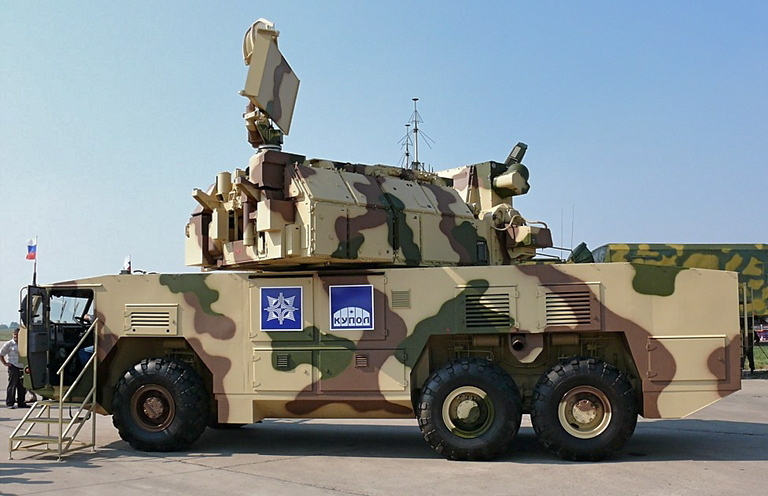 The counter PGM role as primary mission is given to the TOR-M2E, which is not the tracked version in your picture (also the version I was thinking of), but a wheeled vehicle with a more modern radar suite. I’m not sure which version is being sent to reinforce air-defense in Syria (article says M2) , but the M2E probably makes more sense as the “tracked one” was originally conceived to accompany mechanized formations (it can deploy and fire while on the move against any suddenly appearing threat). My previous post was based on the assumption that the onboard radar of the Tracked TOR wasn’t adequate to attack all kinds of falling munitions, and it would have been employed with the usage of the optical channel (the camera is well visible on the right of the radar antenna). 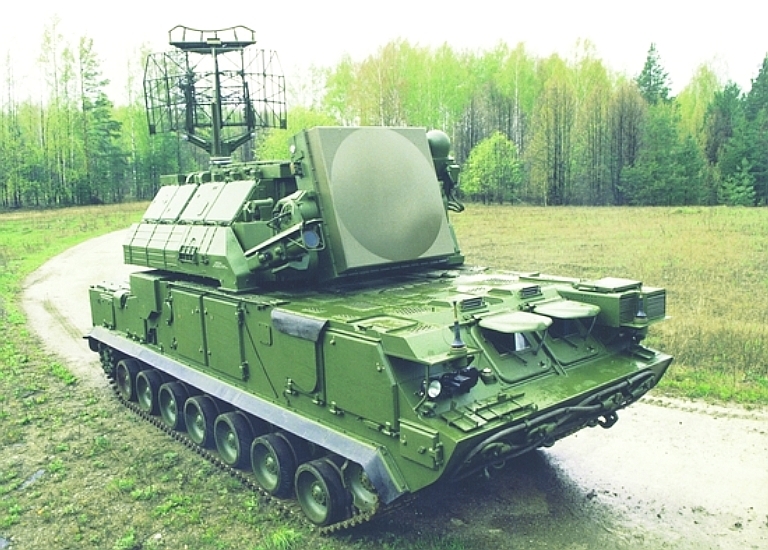 If M2E are sent instead, the PESA radar on them is likely able to fulfill the role adequately. Turkish President Erdogan said on Sunday that we are working with Assad, Rouhani and Putin to eliminate all terrorist organizations from Syria and Iraq. He also said that we know that US and European are squatting in Syria, Iraq, Palestine and in other countries of Middle East and hold nations hostage there for barbarism. This is unacceptable. They must leave. The difference is that all of the middle east and the eastern Mediterranean sea is well within missile range of mother Russia and the USSA is now very low on its supply of missiles, which they need parts from China to build new ones, so the USSA slaves of Israel will run out of ships and missiles long before Russia does. Ah, how I wish the comments weren’t 99% name-calling and (at best) 1% content (other than “go Tiger forces” and “Putin is God” etc.). what about rest of syria? ?